Services: Tile And Grout Cleaning | Fosters – Scottsdale Carpet Cleaning With Valley Wide Service! If you’ve ever tried to clean tile grout you know what a challenge it can be. Why is it so hard to clean? Grout is a porous compound which allows dirt and contaminants to seep down inside it. The result is ugly discoloration that resists normal mop cleaning. Save your valuable time (and your back) and let Foster’s professionals do the dirty work for you. Our experienced technicians will perform a pre-treatment of all areas before using a rotary scrub with extraction cleaning method. Keep your grout cleaner longer by having it professionally sealed. 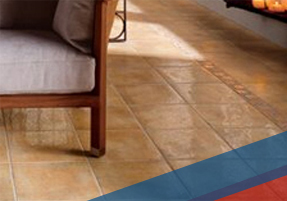 Our industrial grade sealant resists dirt, stains, liquids, and even pet “accidents.” Cost is determined by tile size and the square-footage of your property. Call for a free quote.